So you want to compete on Jeopardy! Puzzle: What are nine memorable questions? For Marilu Henner, it’s like her entire life happened yesterday. Marilu Henner, X’74, can remember every single day of her life since she was 12 years old in 1964. She can recall almost every day back to age seven. In her earliest memories, she’s still a baby. For decades Henner—nicknamed the Memory Kid and Univac, after an early computer—sought the perfect analogy to explain her baffling memory. “You know how a card catalog works?” she used to say. When VHS tapes became commonplace, she talked about a tape that she could cue. Then the DVD was invented, and she had the perfect metaphor: her brain had a scene selection function. When McGaugh’s team scanned Henner’s brain, they found that several regions related to memory were much larger than normal. They also tested Henner by giving her ten random dates throughout her lifetime (beginning at age 15) and asking her the day of the week, what she did, and a public event that happened within a month. Henner received a perfect score. In 2010 Henner was featured on a 60 Minutes special about HSAM. Until then, she was probably best known for her role as Elaine Nardo on the sitcom Taxi, which ran from 1978 to 1983, or for her roles on Broadway. She’s appeared twice on Celebrity Apprentice, making it to the final five in the spring 2013 season. Henner has also written a number of best-selling health and lifestyle books, including Marilu Henner’s Total Health Makeover (1998), I Refuse To Raise A Brat (1999), and Wear Your Life Well: Use What You Have to Get What You Want (2009). Since the 60 Minutes episode aired, Henner has become as famous for her memory as for her acting. Her most recent best seller, published last year, is Total Memory Makeover; she also consults for and appears on the TV drama Unforgettable, which stars Poppy Montgomery as a detective with HSAM. Henner’s astonishing memory means she has missed out on one common human experience: never in her life has she said to someone, I’m sorry, I just forgot. She isn’t quite superhuman: “My kids always tease me about how Mom never can find her keys.” But after a little fruitless searching, she’ll stop, replay the tape in her mind, and know exactly where they are. 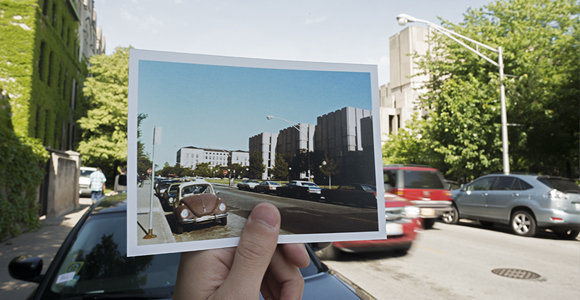 “The very first time I ever went to the University of Chicago was—let me think, exactly (pause)—it was October 6, 1968. It was a Sunday. I was a junior in high school. I went to a conference there and I fell in love with the school. It was the only school I applied to. And because I had really good grades, and I had four scholarships, and I was named Outstanding Teenager of Illinois in 1970, I figured I could probably go anywhere I wanted to go. 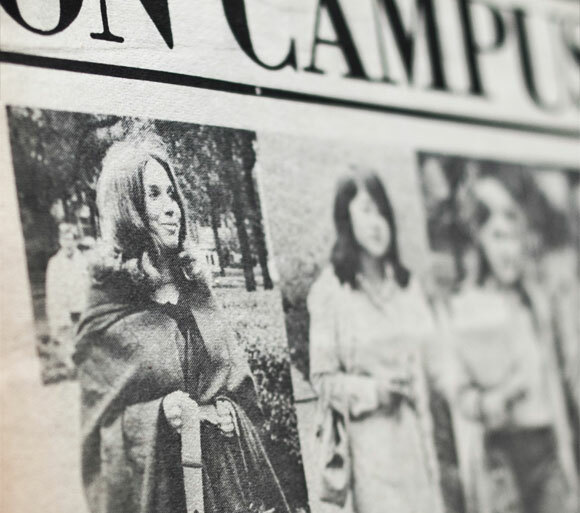 “But the first real day that I was on campus was September the 21st, 1970. That was a Monday. It was this kind of sunny, brisk Chicago fall day, warmer than a lot of other days. I had this huge, kind of rust-colored, almost like a horse-blanket cape. I requested the September 25, 1970, issue of WWD from Interlibrary Loan without bothering to consult an index. And indeed, that was some cape. But what about the less pleasurable memories? The embarrassing, the sad? One might assume that Henner has lived a charmed life, and that is why she sees her encyclopedic memory as a blessing. But Henner’s first book, the autobiography By All Means Keep on Moving (1994), shows she’s endured her full measure of pain. At 17 she lost her father; he had a heart attack during an argument with her brother at one of those famous family parties. Nine years later, her mother’s arthritis became so serious she had to have a leg amputated; she died in her late 50s. “With each ‘bad’ memory comes a major life lesson,” Henner writes in Total Memory Makeover: her parents’ deaths at early ages inspired her lifelong obsession with exercise and healthy eating. “It was Thursday, January the 7th of 1971. I had gotten this coat. It was kind of a cherry-colored coat, a very rich color. I was walking with Michael and I thought, in my own head, ‘Oh, I look so cute today.’ I was a little chubby, but I didn’t care. I was rocking this coat. Michael Brown, AB’74, remembers being underwhelmed by Henner’s memory when they first met. “When you’re 18, in a dormitory, and someone says, ‘I remember every day of my life,’ you may or may not believe it, but either way it’s not nearly as impressive as when you’re 50,” he says. Brown made an impression on Henner, though. “Michael cut such a striking figure at the University, because he was so tall and handsome. He was this enigmatic sort of figure. Very quiet but imposing.” He was also dating one of her close friends. So even after they broke up, Henner concealed her crush. In 1980 Henner and Brown had a chance meeting at the city hall in New Orleans. Henner was just about to marry her first husband, actor Frederic Forrest, whom she met while filming Wim Wenders’s Hammett (not released until 1982). Brown, who had been living with his wife in Brazil, did not realize Henner was famous. By 2001 Brown was divorced and Henner twice divorced; both were living in California. A mutual friend, Paul Hewitt, X’74, gave Brown her phone number. He phoned, they had dinner, and within a week they were a couple. They were married on December 21, 2006. It was a Thursday. “I started to walk toward the library, and my car was parked in front. That never happened. I always had to park far away. I looked at my car, I looked at the library, I looked at my car, I threw my books in my car and went off to the airport and got a student standby ticket to New York. “So I went to the theater where Grease was performing and auditioned, and they said, ‘Wait in the restaurant next door.’ They came in and said, ‘OK, you have the part. Be here for the first rehearsal tomorrow.’ And I was shocked. I literally only had the clothes on my back. I had these dark green pants, sort of like bell bottoms, and this cream-colored Henley shirt. “Remembering the exact date doesn’t win the argument,” Brown points out. Henner’s College friends used to enjoy testing her ability to name the day of the week when given a date or an event. It’s hard not to want to quiz her, especially since she’s so remarkably tolerant about it. I interviewed Henner twice by phone. The second time, I ask if she remembers the date we first talked. “It was March 1, wasn’t it?” she says. Of course it was. I had looked it up. I ask if she remembers my phone number, which ends in 4811. She doesn’t. But that’s because her assistant had placed the call.